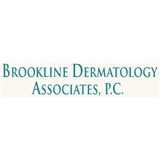 Brookline Dermatology Associates, PC (Brookline) - Book Appointment Online! Brookline Dermatology Associates, PC, the office of Dr. Brian Lester, provides a full range of medical, surgical, and cosmetic dermatologic services to maintain your health and make you look and feel your best. Dr. Brian Lester is a graduate of the Yale School of Medicine and is a board certified dermatologist. Our office is conveniently located off of Route 9 (Boylston Street) in Brookline, MA, with ample free parking. We are currently accepting new patients.